Strike Sapphire is one of those casinos that appear cool, but end up being just alright – just a bit above average. This review will tell you all about it. First off, they don’t allow Americans to play on their site. 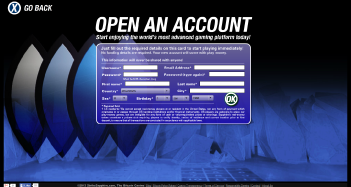 Hell, they don’t allow Americans to access their site period – not even for play money. As you can probably imagine, that makes it difficult to write a ‘review.’ So I had to have a buddy help me out with some of the details. Many of my opinions are really his. We’ll start with the promotions first. Strike Sapphire has a couple neat promotions running right now. The first is their 100% match deposit bonus reserved for first-time players. This is a $1,000 (roughly 3 BTC) offer. To clear this offer you’ll need to wager both the deposit and bonus 30x before you can withdraw any of your winnings. This is a so-so bonus. Honestly, it’s hard to get terribly excited about this due to the 30x rollover on both the deposit and the bonus. Especially after reviewing BitcoinCasino.net and their 35x play through on only the bonus. But it is what it is. And it’s a decent size, so you can’t complain that much. Another neat offer is their 18% cash back on every bet you lose. You have less than 10 cents in your account. You earn enough points to receive cash back (check your player account for the exact number). So, that’s pretty cool. I don’t think you can ever complain about cash back. They have a VIP program, too. You’ll need a minimum of 20k player points to be eligible. There are two levels – Silver and Gold. Before I reviewed Strike Sapphire I heard something both interesting and exciting. They’re both a software company and one of the best Bitcoin casinos. That should be pretty cool, right? You’d think they’d have the most amazing games and software. That’s surprising… and a tad disappointing, if I’m being honest. And you can choose from 20+ games to play. Chipwars – A board / tourney-based game. 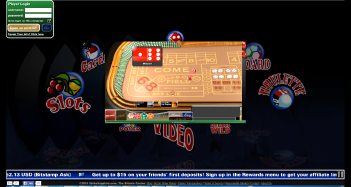 Poker – Play Texas Holdem and Omaha ring games, tournaments and freerolls. Rake is as low as 1 percent. You can also host your own private / charity games. Many of these games (namely Scuba Cube and Chipwars) looked dull, which might explain why no one was registered to play them. The most unique aspect of their game section is that you can play several games simultaneously. Six, to be exact. 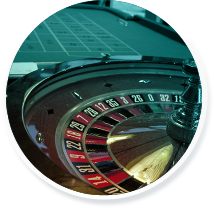 I think that’s pretty cool, because you can spread your bankroll out to play a mixture of games that is both easy and hard on your bankroll – like slots and blackjack. You also don’t have to choose between slots themes or video poker variations. Just play them both – or all of them. So… there you have it – Strike Sapphire in a nutshell. Bear in mind this review was based on what little I could find, see and read – and the rest on what someone else found for me. But… this seems like an average casino. They have a smaller selection of games. Their software is (surprisingly) average. And you don’t even deposit or play in bitcoin. This is balanced by a decent deposit bonus and almost 20% cash back. So, we give them an equally balanced (and very average) grade: C+. We’ll bump this grade up if they make any improvements in the future.